Drain cucumbers for a few minutes on paper towels. In a serving dish, stir together the yogurt, sour cream, onion, garlic, and dill. 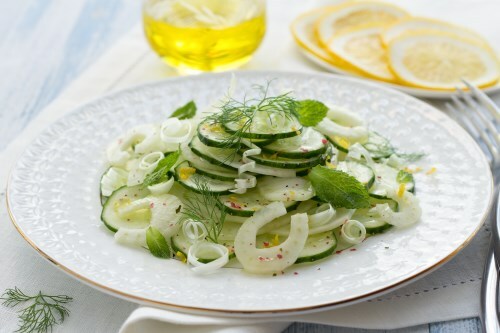 Add cucumbers, and gently mix to coat. Season with salt and pepper. Refrigerate for a couple of hours before serving for best flavor.